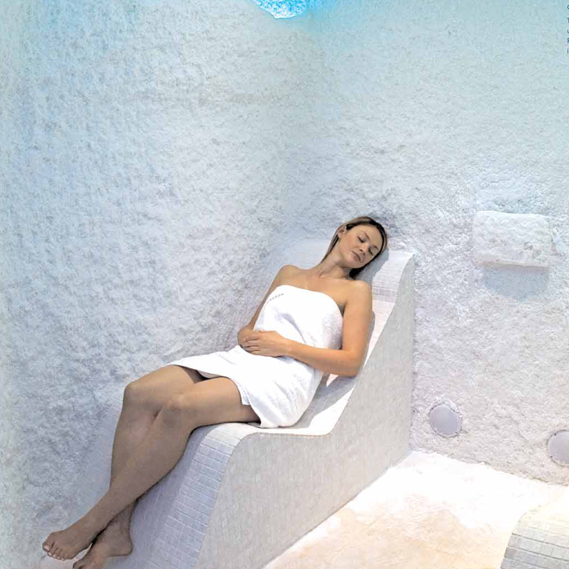 The Vi Spa Salt Room is a great addition for Health Clubs and Spas. Salt Therapy has been recognized for centuries as a unique and natural approach for relieving the symptoms of various respiratory complaints. Russian Salt Cave with Feature Pool. Salt Therapy has been recognized for centuries as a unique and natural approach for relieving the symptoms of various respiratory complaints, dermatological illness and allergies. The concentration of salt particles in the air allows its penetration through the lung walls, and the formation of medical activity. Saline environment prevents the development of bronchial infections, affects the bronchial mucosa and drainage cleaning, eases allergic conditions, and creates a positive feeling through enriching the air enrichment negative ions in the air.